Must have items for a happy dog! No, that’s not Santa in disguised, it’s me styling a red cape and boots I received as a gift from my friend. I swear, I tried to please him and show appreciation but I guess my face says it all… . and my favorite … the bin! Not just friends, best friends! Like most of my fellows, I have tons of energy and I like spending time outdoors, play Frisbee and discover the world. I enjoy my time with friends at the dog park. But what I love the most is spending time with MY BEST FRIEND (some call it ‘owner’ but I don’t know what that word means). We’ve met 3 years ago, we shake hands (he seems to like that) and became buddies instantly. When he said he’s an engineer I was a bit worried and I feared boredom but little I knew. He treated me like family and he shared his food with me, but only the ‘right’ stuff because he cares about my health. And for the past 3 years we went through some interesting adventures together. Just to give you an idea, I have a passport, a spa passes and I’m getting ready to participate to a dog-agility competition this Spring. I must admit, living with a human is not always easy but there are ways to make it bearable and fun for both parties. I built this blog to share with you some of our great moments and the lessons we’ve learn (and to brag a bit). So take a look at the stories we shared so far and follow us. If you feel inspired, share your stories and worries in the comments section. I might be to busy to read them but my friend seems to enjoy feedback (and dancing :))). Let me tell you fellows, there is nothing I enjoy more than a good game where I can use my skills and energy. And a year ago, me and my friend, we discovered the agility classes – a training preparing dogs for obstacle course in a race for both time and accuracy. It’s forcing me to focus, respond to commands and use my memory. It’s all about team work. My friend plays a key role in my success leading me only by using voice, movement, and various body signals. I get the best, juicy treats after each achievement. We practice this sport every Saturday for an hour and the trainer is proud of my evolution. He said that I’m ready to participate to a competition, if I want to. It is a team-work, we both should cooperate to achieve the desired result. Club d’agilité de Montreal : it is where we take our training. Le Club d’Agilité Montérégie : it is in the south shore of Montreal. 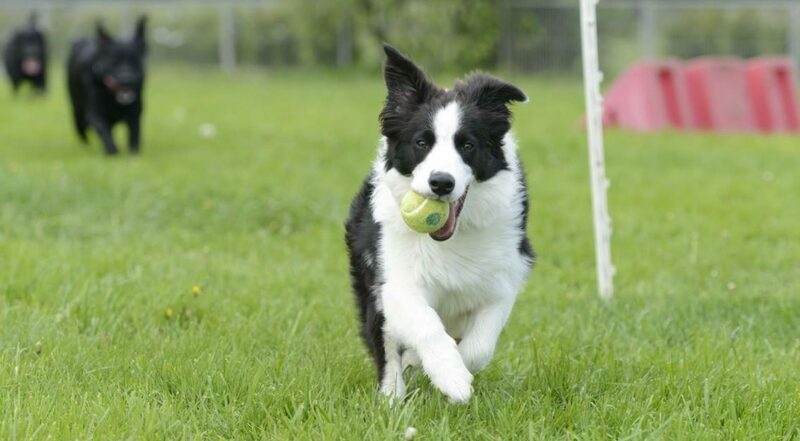 Club Agilité Canin (CAC) St-Lazare : located in the beautiful island of St-Lazare in western Montreal. We chose the Club d’agilité de Montreal because they keep offering sessions even during winter. how do they do that? simply, they rent an indoor facility from another dog-training school called DogzWorth (http://www.dogzworth.com), where I already took some training. And guess what, it is very close to where we live in Nuns Island – Montreal. I hope that you found useful information for you guys, so please share them with your friends.